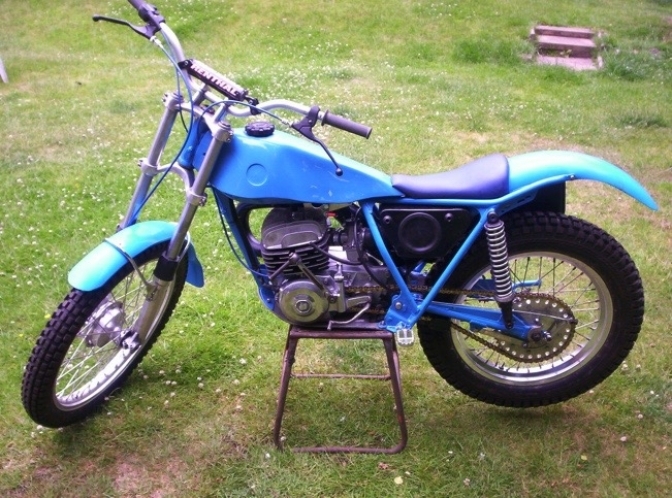 This is Dave's second Bultaco rebuild both bikes having as little as possible spent on them to achieve a first class finish. 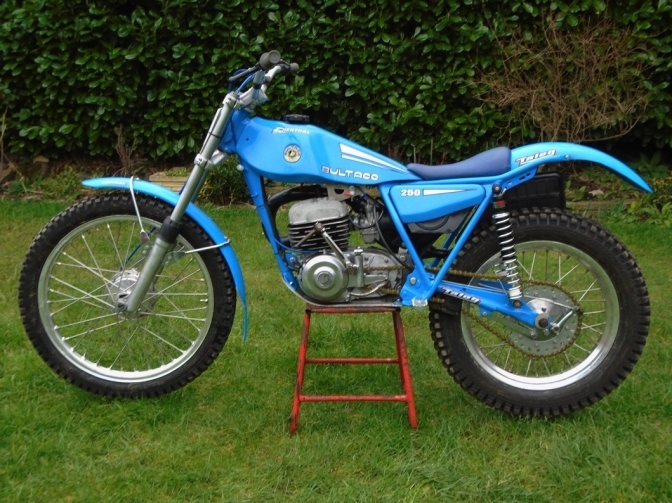 Dave Wood’s Bultaco 198A Rebuild. The finished article Credit to you Dave. 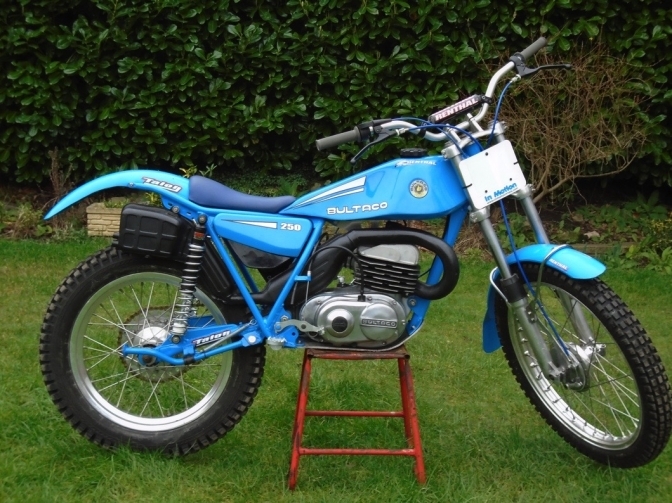 It just takes time to finish a bike to this standard ,and the hours you spend only shows when you end up with a machine looking so pretty like this Bultaco. 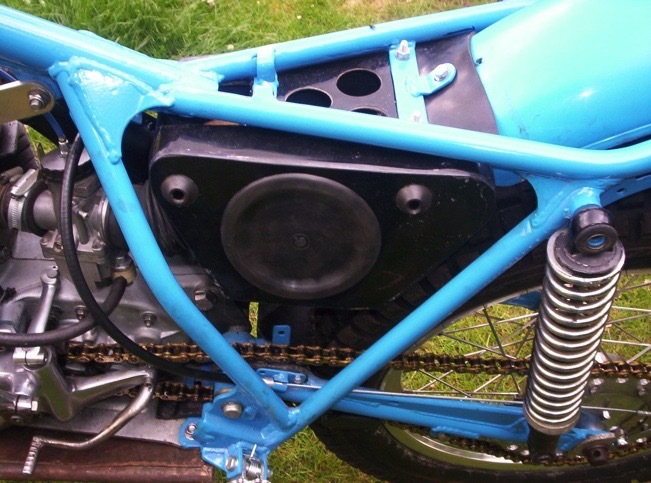 I made a bit more progress with the blue Sherpa 198a rebuild as well recently. Essentially I've done the same with this bike as I did with the model 49, so again, the cost is similar and I could have done it for about half had I just made it useable for trials and left off the cosmetic agenda. 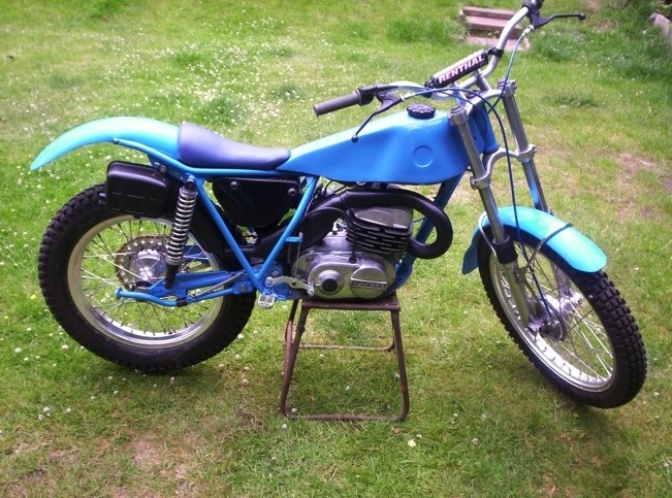 This bike has also been kept on points rather than adding electronic ignition. This bike has had a couple of alterations, not to modernize it or increase performance, just cosmetic tweaks and a modification to the type of air box. 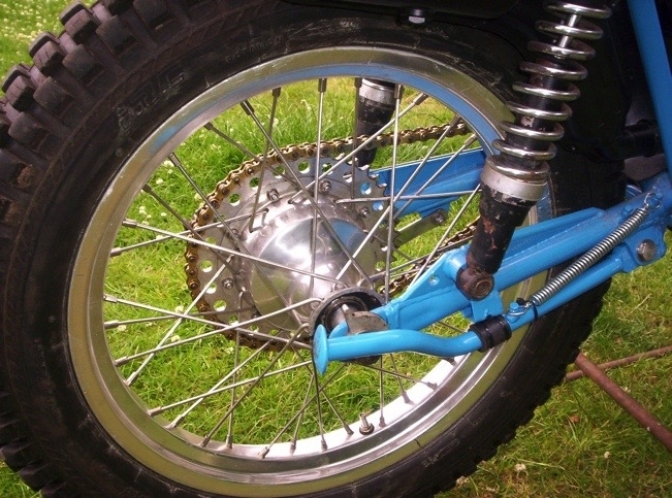 It's had the engine polished instead of the correct black paint finish, as have the fork legs. I cut off the rear mudguard loop, which at one point I was wishing I hadn’t started as not being a metal worker by trade, it turned into a bit of an ordeal, but I got there in the end. The change to the air box was purely practical. The original was broken and as I have a couple of spare boxes from the next model, the 199b, I thought I might as well use that rather than buy a new original type. The later one has a better filter arrangement anyway. It just needed some new mounting brackets welding on and the old side panel mounts removing as they mount directly to the 'B' air box rather than to the frame. I also added a 'B' style head steady as it is more robust than that fitted to the 'A' models. Progress with this bike is just marginally ahead of the older 49 model as it has it's own wheels fitted, again with tubeless rear, therefore chain/sprockets are all fitted and it has had a trial run around the garden. Engine sounds good and just needs setting up now along with suspension etc. Items to finish are just small such as correct tank mounting rubbers, as it is only placed on at the moment, lockstop buffers and decals. All Photos Courtesy Dave Wood. It does now make sense to use tubeless rims on rebuilds,as tubed tyres are getting scarce.